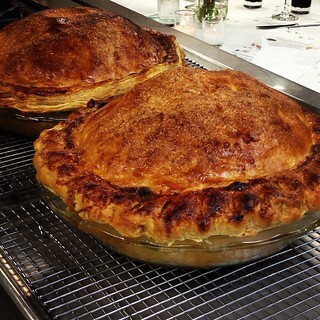 Evan Kleiman started "Pie a Day" on the KCRW Good Food blog a few years ago by making a pie a day for 100 days. That took off and culminated in an annual Pie Contest where home cooks compete. Sherry Yard is one of the best pastry chefs in LA. She's put in years at Spago but is now set to open her own bakery in Culver City. 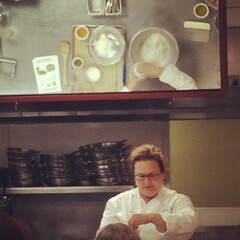 The two came together to give a pie making class at Culver City's New School of Cooking recently to raise funds for KCRW. 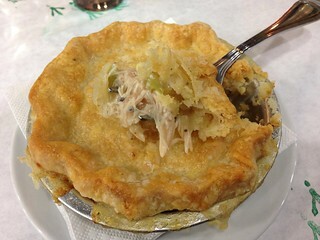 To be precise, they're raising funds for the 5th Annual Good Food Pie Contest, which will take place on Saturday, September 7 from 2-4pm at LACMA. If you want to enter, you can sign up before September 1 on the website, and the fee is $10 per entry! There's also a Kids and Vegan category. 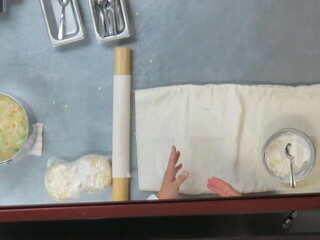 I don't know a thing about making pie, but I can tell you what tips I learnt from the pie class! First off, the set up is pretty nice. A glass of sparkling wine greeted us as we were seated at the tables. There's a full table setting because we're not just watching a cooking demo, but will soon be eating three delicious pies while drinking more wine! 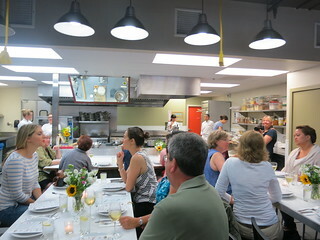 The pie class was completely sold out, so it was a full house, but most can see what they're doing pretty clearly on the overhead mirror. 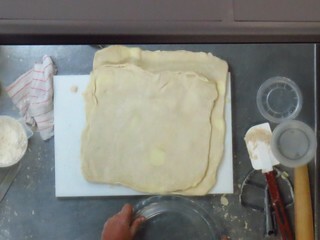 So Evan uses part butter and part duck fat for her pie dough, genius! She passed it around so we can smell it. 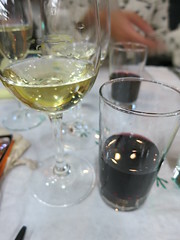 They gave us some red wine to go along with the pies while Sherry and Evan are working hard to make pies. Sherry brought our her 4lb pies and the crust is just absolutely gorgeous. 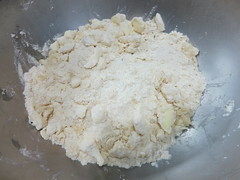 When she makes her dough and rolls it out, she makes sure the butter is still in chunks so she starts out with chilled butter. This way when it melts in the oven it creates space for air. 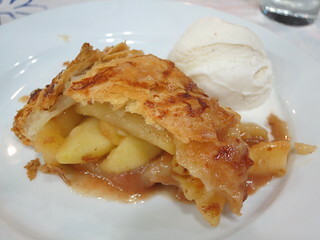 The first is her quintessential apple pie, which is indeed one of the best apple pies I've ever tried (a la mode thank to some vanilla ice cream courtesy of Coolhaus. 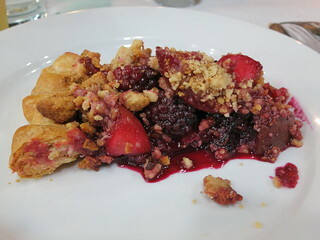 Next is a plum blackberry crumble, also by Sherry Yard. Overall it was a great class. 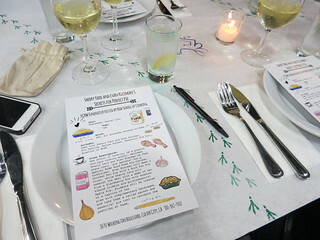 It was very educational and also very entertaining, and I got stuffed after the three amazing pies! 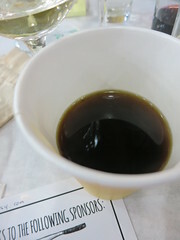 Add to that some wine and great coffee to finish off. If you already make great pies, sign up for the Good Food Pie Contest by September 1 to test out your skill. Otherwise, stay tuned over the weekend as I post the 3 pie recipes.